For an Abbas Kiarostami filmography, click here. The following is an extract from Abbas Kiarostami by Mehrnaz Saeed-Vafa and Jonathan Rosenbaum (University of Illinois Press, forthcoming: late 2002/early 2003) – one of the initial books in a new series edited by James Naremore that is devoted to neglected contemporary filmmakers. Abbas Kiarostami contains separate essays by Rosenbaum and Saeed-Vafa followed first by this dialogue, then by an extended interview with Kiarostami conducted by both authors. JONATHAN ROSENBAUM: You were the one who originally had the idea of proposing that we do this book together. And maybe we should both consider why we thought it was a good idea. JR: I think the difference between our backgrounds is important – a Jewish American man and an Islamic Iranian woman – despite the fact that our tastes in film tend to be similar. (We even had a little bit of the same formation as filmgoers insofar as we were both living in London in the mid ’70s, well over a decade before we first met in Chicago.) One thing that also occurs to me is that, in a funny sort of way, both America and Iran are very deprived in their access to information about cinema. In Iran, this is largely due to censorship and because of the way everything is conveyed by gossip – most often very unreliable gossip. And in this country, paradoxically, where the big companies tend to rule the discourse we have about movies, we haven’t had any images at all of Iran except for what we’ve started to get in relation to Iranian films. Even in that area, there’s a lot of hearsay and guesswork that’s going on constantly, sometimes making the most basic information hard to access. Do you remember how we both spent months trying to determine whether or not The Wind Will Carry Us (1999) was banned in Iran – and if so, what the censors’ objections were? Then we both went to the Fajr Film Festival early this year [February, 2001] and were told that the only reason why it hadn’t opened in Iran was that it was decided that the film wouldn’t make much money! Of course, the fact that Iranian censors aren’t obliged to give any explanations affects this overall lack of information. In any case, considering the somewhat different contacts and resources we both have, it seemed that if we pooled these things, perhaps we could both learn more. MS: The physical distance between the two countries is of course reduced now with the Internet. But because of all the years of political hostility between these countries, there’s not much exchange, especially from the side of America. I think Iranians know more about Americans than Americans know about Iranians. We were brought up with American culture, Western culture. JR: I remember you telling me about the Dean Martin and Jerry Lewis movies you saw in Tehran as a child, which really surprised me at the time. MS: There’s even an interesting link one could make between Orderly or Disorderly (1981) [also known as Regularly or Irregularly –Ed] and The Disorderly Orderly (1964) – a Jerry Lewis film directed by Frank Tashlin – quite apart from the similarity of the English titles. But the chaos in Lewis’s film is internalized, whereas in Kiarostami’s film it’s completely externalized. I had also seen major American cities before coming here, in a lot of documentaries and feature films. I had a very good idea of where I was coming to. But even a critic like you who reads a lot and travels a lot – you still have ideas about Iran that are based on a lack of proper information. JR: I’m sure that must be true. I was quite startled, for instance, when I learned that 65% of the current Iranian population is under 25 – and even more taken aback when I learned that the ages when you can vote and get married in Iran are much younger than they are in western countries. This suggests that the paradigms we use for understanding Iran are often faulty to begin with. Could you provide me with any other examples? MS: Well, I frequently encounter in a lot of Americans a confusion between the political identity and the traditional identity of Iranians. It’s also questionable how much you can actually learn about a given culture through films, which applies to Iranians understanding Americans as well as vice versa. The biggest problem is the absence of a context for new information. For example, the issue of suicide in Taste of Cherry (1997) as Islamically incorrect was allowed to overshadow almost everything else that was said in the U.S. about the film. JR: We should acknowledge that our viewpoints about Kiarostami differ in terms of what kind of information we consider most important. For me, Kiarostami is first of all a global filmmaker and secondarily an Iranian filmmaker. For you, he’s first of all an Iranian filmmaker. Even though I’m interested in learning about Iran through Iranian cinema, and his films are certainly a part of that, I feel that I go to his films to learn about the world, not just Iran. There are surely other Iranian filmmakers who could tell me more about Iran than he can, but I don’t think that there are any other Iranian filmmakers now who could tell me as much about the world in general. MS: How do you mean? Cinematically or politically or…? Godard was reflecting what was going on through the culture of cities – and I think that in the ’60s, to know what was going on in the world, cities were very important. Today, I suspect that the country, the suburbs, and the sticks are more important. The reason why is that the whole world is united now by what the large multinational companies are doing everywhere, and you can see more of what they’re doing in the country than you can in the city. The mobile phone in The Wind Will Carry Us is a perfect example. Or you might recall that when this film finally opened in Chicago, this was at the same time they were doing those recounts of the votes during the presidential election. And I wrote in the Reader that the film was actually speaking to this situation. How? Because there’s an enormous rift now between what’s happening in the media and what’s happening in everyday life – a rift that gets expressed through one’s perception of time, one’s body language, and all sorts of other things. If you turned to someone on the street during that post-election period, you could immediately bond with them about what was going on, but if you turned on the TV, all you’d encounter was people screaming at one another. It was a different reality. This kind of discrepancy is captured perfectly in The Wind Will Carry Us, which shows such a division quite comically. So it shouldn’t be so surprising that what he’s doing is appreciated and recognized as relevant by people across the world. MS: Yeah. They see something in The Wind Will Carry Us, and although the hero is a man, I can see my own reflection in him. I’m like him too, driven by anxiety to do lots of stuff and be preoccupied, not be there – you know, as I put it in my article [in Abbas Kiarostami –Ed], he’s an image of modern man. JR: Yes, and of course we’re media people, too. You know, maybe the fact that Kiarostami is so contemporary is what makes him so controversial. MS: Do you mean controversial inside Iran, or outside? MS: I’m not sure what they mean by lazy, either – but if they’re right, that’s a virtue, not a vice. JR: What do you mean? MS: One sign of mastery is for the work to look extremely simple, as if anyone can do it. Think of Chaplin’s direction, which looks like he simply found his shots rather than worked hard to find them. The arrangement of shots in ABC Africa and the overall rhythm is really musical, but some people don’t notice this. JR: We know that he did work on the editing a long time, partly because he hadn’t edited digital video before. I can remember when we saw it for the first time that it didn’t look so much like a Kiarostami film during the first half – maybe because the exposition and interviews seemed relatively conventional. MS: But isn’t this information important to the film? JR: Of course it is. MS: This is the first Kiarostami film in which the subject might be said to overwhelm the treatment of it – which maybe creates a conflict in some people’s minds. JR: Yes, which is often a conflict between what’s artful and what’s socially useful. MS: But what did they expect from Kiarostami, anyway, knowing his style? JR: Maybe the fact that so much is expected from him these days is partially to blame. Do you think that expectations of this kind are partly behind the hostility towards his work in Iran, despite the fact that he’s been such a major influence there? MS: I don’t believe there’s hostility against him – just a certain kind of criticism. Some think he’s overrated, but they’re not ruling him out. And of course his last two films haven’t even opened there commercially yet…The fact that he’s won so many prizes in festivals is partly why his cinema has been so influential, especially for younger filmmakers – who in fact often do get prizes of their own when they follow his lead. JR: Part of the problem is that he tends to be either deified or demonized. For the same reason, some people may place too much value on his still photography or his poetry. I happen to like the former much more than the latter, maybe because it seems more relevant to his films. MS: I agree, although I like the rhythm of his poetry and the atmosphere of some of his landscapes. But it’s only in his cinema that these things become truly meaningful. The same thing applies to Paradjanov’s collages and paintings. 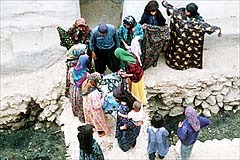 JR: Another example I can give for Kiarostami’s global relevance at least as far back as Close-up (1990) is the striking and interesting similarity between that film and the story of John Guare’s play “Six Degrees of Separation”, which surfaced somewhat later, and which eventually became a film as well. That was also based on a true story. A young black man befriended a very well-to-do New York couple, claiming to be the son of Sidney Poitier and offering to get them involved in a Broadway show that he claimed his father was putting on. He got invited to be the couple’s houseguest, and it was some time before his fraud was uncovered. The fact that something so similar could happen in New York and Tehran fascinates me, though some of the differences are also important, such as the issue of race in the Guare play. Yet as you point out in your essay [in Abbas Kirostami –Ed], the issue of ethnicity, which some westerners may not notice – the fact that Sabzian happens to be Turkish – plays a significant role in Close-up. (In fact, the multiculturalism of Kiarostami’s films is another “global” aspect of them.) I remember you were saying back in 1992, when I saw the film for the first time in Toronto, that the kind of respect that cinema has in Iran immediately gives a kind of empowerment to people who are filmmakers. Ordinary people defer to them, and that becomes a very interesting subject in itself; in fact, every film Kiarostami has made since then relates to this theme in one way or another. MS: It’s interesting. When I was a teenager, everyone was a poet, but now everyone is a filmmaker. Especially after the Revolution, seeing that for the first time so many filmmakers were not educated in film – and many were not educated, period. But becoming a filmmaker or artist originally conferred a status that was reserved only for the privileged or the educated, and then, all of a sudden, it became something non-educated people could achieve, if they worked hard to get there. JR: Yes, and Makhmalbaf became the role model for that, as Close-up shows. You compare the function of cinema in Iran to that of basketball for black youth in the U.S., which is also quite suggestive. It’s a ticket to class mobility – you might even describe it as a way to get out of town, if you live in a suburb or a village. MS: Well, that’s changed now. In Iran it’s no longer such a big deal to make a film. Kiarostami has raised the bar, so that now you have to win a prize in a major film festival, preferably Cannes, to really get somewhere. You know, they now discuss film in the Iranian Parliament; that’s how important it’s become. It’s a political issue to be a filmmaker. JR: That’s been especially true since the arrest of Tahmineh Milani a few days ago – apparently more because of her recent statements to the press than because of her last film, which was screened at Fajr in February…. What kind of discussions do they have about films in Parliament? MS: Well, sometimes they discuss the content and impact of films, and sometimes you have controversy about particular films and different points-of-view, such as in which other countries a film is being seen and discussed. But earlier, in the first decade after the Revolution, when they weren’t sure about a film policy, it was more of a political issue. Should we send this film outside or not? Of course now it’s changed. Originally every film had to go through the Fajr Film Festival in order to get permission to be shown in foreign festivals – or even to be shown inside the country. Now certain films like The Circle (Jafar Panahi, 2000) can get permission to be shown outside but not inside. JR: You know, I’m hoping that, if this book gets translated into Farsi, it can answer certain questions in Iran as well as over here – such as what Americans see in Kiarostami. One American, anyway. MS: Actually, while working with you, I’m realizing more that when you come from a different culture and history, you can appreciate certain things differently. JR: Yes. I think an important part of your background, explaining where you’re coming from – which you discuss briefly in your essay – is that you were the first Iranian to defend Bresson in print, at least at any length. When was this? JR: So, right around the time of the Revolution. MS: Yes, just two years before. JR: I think, if I’m not mistaken, that he’s a figure who is very important in Iran today – partially, I assume, because spiritual artists are valued highly, which is why one encounters so many references to Dostoevsky and Kafka, for example. I also have this theory that Bresson’s style rose in part out of his experience of having been a prisoner in an internment camp. I feel that his films are about souls in hiding – about keeping your humanity in a very private way in certain situations. MS: It’s a context in which people after the Revolution have come to appreciate his films. Sometimes you have to arrive at a condition to understand and appreciate certain things. JR: I can realize now, looking at Where Is the Friend’s House? (1987) again, that even though I was completely wrong to dismiss the film when I first saw it, one way in which I might have had a point is that it seems to be the last of conventionally-made features by Kiarostami, at least from a narrative standpoint. What I mean is that the film has a narrative pay-off – a moral, if you will – whereas the later films all leave out essential parts of the narrative. So maybe part of my response was reacting again the conventional aspect. MS: Well, I think his other films all have pay-offs. What about Close-up? I don’t know how you can call it conventional or unconventional. JR: Close-up begins unconventionally by starting off with the arrest of Sabzian and then not even showing that in a conventional manner. MS: But there’s still a pay-off at the end. I know it doesn’t have a conventional beginning and middle, but by the end of the film, there’s a reconciliation between Makhmalbaf, the family and the impersonator. JR: I agree. When I was talking about pay-off, I was thinking about films that were just fictional. You could say that ABC Africa has a pay-off at the end too. MS: What I’m saying is that at the end of Close-up, it’s a conventional pay-off – it’s not a symbolic or metaphorical or elliptical pay-off or ending. And at the end of Life and Nothing More… (1992), he is a stranger who has been passing through all these villages without any real interaction, and then he decides to give a ride to this man, who is carrying a very heavy canister. JR: Can you really tell that’s what’s happening? MS: Yes, in the long shot you can see it. Because the first time, he passes by him, and the second time he picks him up. JR: Okay, I’ll take your word for it. But the point I’m trying to make is that the first thing the film sets up is the expectation that he’ll find out whether the kids he’s looking for are alive or dead, but this never comes to pass. In other words, there’s a displacement of pay-off. MS: Yes, it’s true. But, you know, there’s always a resolution at the end of his films, a pay-off regarding his characters’ struggles. In Taste of Cherry, for example, in order to create you have to go through hell. Yes, in order to bring birth to something you have to die first. You can call it anything you like, but it makes sense. Also, at the end of Through the Olive Trees (1994), it’s only through that type of filmmaking and repetition and all that, that at the end the director notices Hossein is following Tahereh, he follows Hossein following the woman, and that becomes the natural ending for the film. The realization of this older man is his own attraction to the younger man, when he sees how far he goes after her. So in effect Hossein visualizes something for him to see. In the beginning he can’t get it in his film. But he finally gets it off-screen, when the camera is no longer shooting. JR: So you’re saying that the last shot is a point-of-view shot? MS: Yes, it is a point-of-view shot. Maybe not literally, but in effect, yes, it is. Just as one can talk about a kind of point-of-view shot at the end of The Wind Will Carry Us. MS: No, there isn’t one there. We look at him going up the hill in long shot. But when he throws the bone into the water at the end of The Wind Will Carry Us, it is some kind of shift. JR: But you can’t call it a point-of-view shot unless Bezhad is running alongside the bone as it floats downstream. MS: No. But what is not possible in real life becomes possible in film. The same thing applies to Through the Olive Trees and Taste of Cherry, too, where the hero has no control over his life and his environment, but then everything changes once it’s seen as a film and he’s seen as an actor. Also in The Wind Will Carry Us, where death doesn’t happen in the film that he wants to shoot, but it happens just the same. And in Through the Olive Trees, what finally happens is what the director wanted to put in his film but couldn’t. JR: So, in other words, he sees something that stands for what he is missing in the film he is shooting. But I think we are in agreement if I say that the conventional pay-off is displaced here, whereas the end in Where is the Friend’s House? is conventional. MS: But when the boy is doing his homework near the end of the film, the audience doesn’t know what he’s actually doing. So what happens in the final scene isn’t really a pay-off. JR: For me, the pay-off is the irony of the teacher’s remark: “Good boy.” Because he thinks the boy has done his homework and we know that he hasn’t. And the flower in a way takes the place of that homework and furnishes another pay-off. It stands for a lot of things – for a gift that his friend has given to him, but also the gift of the old man who makes doors. He gives it to the hero and says, “Put this in your notebook.” So the pay-off is a false recognition and a true recognition – in other words, a moral. MS: But it’s important that at the end of the film, there’s no shot of the other boy, Nematzadeh, appreciating it or reacting in any other way. JR: I guess what I’m saying is that Where is the Friend’s House? becomes the last pedagogical film that Kiarostami made for Kanun, because each of the Kanun films is teaching you a lesson of some kind (1). And in this case what you’re saying, and I agree, is that the lesson is not for the teacher but for us. But there’s still a lesson there at the end. MS: Yes, though it isn’t the obvious one. As I mentioned to you earlier, in the original story that the film is based on, it’s the teacher who notices what happens, and he breaks into tears. The story, in fact, is called “The Day the Teacher Cried”. Probably he sees something he doesn’t have. In this version, the only thing that’s important is for the teacher not to punish the boy – and the other boy doesn’t acknowledge that. Kiarostami shifts the emphasis onto the beloved rather than on the one who loves. MS: … or that you expected. JR: Yes, it’s the story behind the story which is hidden and which he is trying to make evident. There are always more stories than you think there are, and the purpose of most conventional stories is to push these other stories out of the picture. Kiarostami is trying to bring them back. MS: In all of his later films after Where is the Friend’s House?, the scene before last becomes extremely important. JR: Yes. In The Wind Will Carry Us, this is the scene in which Behzad takes the photos of those women. MS: It’s the scene before last that suggests a loss. In Where is the Friend’s House?, it’s the dark scene where he looks at the outside and at his mother in the wind. That could suggest fear of death, the unknown, night, or that his friend may be punished if he doesn’t do anything. It opens up a whole set of mysteries and then shows you how trite it is to wrap up the story with one shot. JR: Yes, it’s so interesting. And there’s a classical element in this scene, in the sense that the first time you see the boy with his mother is in the courtyard, when she’s doing the wash. And she asks him to do all those things, too. What’s interesting is, the only time in the whole film that she shows any kindness towards him is at night, just before the end of the film, when she’s serving him dinner. For once, she isn’t questioning him, either; she just assumes he’s doing his own homework and not his friend’s. But the fact that the door suddenly blows open reminds us of that early scene and all the cruelty that she was showing toward him, and the other kinds of work he was asked to do. MS: Yes, that scene opens a whole can of worms. (Laughs.) In fact, every time I see it, I have a different interpretation of it. JR: It’s formally quite brilliant, because the whole film clicks into place with that scene. MS: Yes, without it, it would have been a very conventional film. But then that door opens to darkness. JR: It’s interesting to note that all the misunderstandings that grew out of the English subtitled version – calling the film Where is My Friend’s House? rather than Where is the Friend’s House? – isn’t just a matter of overlooking the fact that it’s named after a refrain in a poem. (2) It’s also a matter of it being a philosophical question in the poem, not just a practical question. When I first saw the film, I missed the philosophical aspect. And the philosophical dimension is ultimately the same as the poetic dimension. Which is the most elusive part – and the part that he’s after. JR: Have you seen David Lynch’s The Straight Story (1999)? 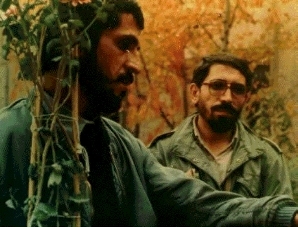 In its regard for ordinary people and the ways it finds to honor the mysteries of everyday life – along with the film’s diffuse sense of time and its synthesis of almost pure visual abstraction and unadorned emotional intimacy – The Straight Story has obvious affinities with Iranian cinema’s meld of realism and fable. But although the film was by and large enthusiastically if not perceptively received by mainstream reviewers, the serious critics who have championed like-minded foreign films were less generous, even condescending or outright dismissive… Even a largely sympathetic reviewer like the Chicago Reader‘s Jonathan Rosenbaum called the movie “propaganda,” as if Lynch’s taking money from Disney were inherently more compromising than Abbas Kiarostami’s working under the aegis of a totalitarian theocracy. There’s plenty to object to here – such as associating Iranian cinema with “a diffuse sense of time” rather than the reverse of that. MS: Maybe the reason why he thought that there was an affinity between The Straight Story and a group of Iranian films – in which I would not include Kiarostami’s – is that there isn’t a conventional dramatic structure. It’s a simple plot. 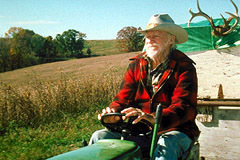 And there are some other similarities as well: the didactic moral values – which include family values – of this outdated hero, the dysfunctional women characters (all of whom help to point up his patriarchal wisdom), the backward (“third world”) technology represented by the vehicle that he drives, and the emphasis on landscape as a basis for spirituality. JR: In other words, the eternal verities. MS: But his linking of the supposed mysteries of everyday life in The Straight Story with those in Kiarostami seems false to me. What’s so mysterious about the old man or the stereotypical people he encounters? He seems to be typecasting mid-western American farmers and Iranian peasants alike. The Straight Story‘s headstrong old gentleman and the relentlessly single-minded protagonists of Kiarostami’s films, or the equally determined little girl of Jafar Panahi’s 1995, Kiarostami-scripted White Balloon (not to mention the up-right, fiercely independent senior citizen Umberto D. of an earlier, no less allegorical branch of Neorealism), have an innate kinship – they are gnarled branches of the same cinematic family tree. Yet there is a widespread view among the film intelligentsia that humanity is the specialized province of the salt of the foreign earth, where indigenous cultures are typically mediated through familiar Eurocentric tropes and gestures (depoliticized avant-Godardisms, Bresson-oil rubdowns, the many moods of Antonioni). For these rigidly positioned film missionaries, places like Iowa are what they fly over on their pilgrimages to Lourdes-like film festivals – where true believers seek healing epiphanies, artistic ‘miracles,’ the blessings of directorial saints. As offended as I was by Hampton’s imputation of religious and Eurocentric motives to American defenses of Kiarostami and Hou Hsiao-hsien – as well as his facile swipe at Kiarostami’s implied politics, and his suggestion that some sort of “we are the world” humanism linking together Umberto D., Taste of Cherry, and The Straight Story is what actually makes all three films valuable – I have to concede now, as I wasn’t willing to at the time, that he had a limited point in tracing a certain amount of anti-Americanism – or what I’d call a reaction against the arrogance of the American Empire – through our defenses of filmmakers like Kiarostami and Hou … neither of whom was incidentally receiving a hundredth as much attention as Lynch in the mainstream press. MS: Do you think this is a cover-up for something else? Hampton replied that his “piece suggested that film critics no less than filmmakers need to be in some kind of empathetic touch with the everyday life and culture of their own land – if that’s ‘indignant flag-waving,’ then I think Jean Renoir, Youssef Chahine, and the Ray boys (Nick and Satyajit) are equally ‘xenophobic’.” I take it that what he meant by this – assuming that he was thinking and not indulging in more indignant flag-waving – was a kind of good or benign tribalism. My knee-jerk reaction to this – considering all that tribalism has meant and done over the past century and continues to do, and bearing in mind that I grew up in a small town in Alabama – is to regard such a notion as an oxymoron. (That’s why I’m suspicious of a film like Gabbeh [Mohsen Makhmalbaf, 1996] in contrast to much better Makhmalbaf films like Marriage of the Blessed (1989) or more provocative ones like Salaam Cinema (1995), which I’d like to read as a polemical response to Through the Olive Trees.) But I’m probably being short-sighted about this. There must be cases of “good” tribalism that don’t yield intolerance, even if I can’t think of any. MS: I think there’s a very interesting distinction here. When I teach Iranian cinema and show in particular films by Kiarostami, students have a less defensive attitude; they’re a little bit more open, and they relate to those topics better. Now I hate to make generalizations, but I think that some of the older generation have become more conservative. They have a certain contempt for the rest of the world, or for what they call the Third World. I don’t know how many times I’ve been regarded as a member of the Third World, and automatically that’s an insult, I assure you. It also has something to do with the economic and political relationship of one’s own country to the country a film is coming from. For example, the relationship between Japan and the United States is very different from that between Iran and the United States. JR: Well, as you know, when I recently wrote about The Circle for the Chicago Reader, I made a particular argument that my editor took out. I said the moment Coke machines are installed in Tehran, U.S. customs will stop fingerprinting and taking mug shots of every Iranian who comes here – a practice which, I should note, is not followed in Iranian customs when Americans enter that country. I call this cold war thinking too, because it’s so paranoid. In any case, if “good” tribalism is what Hampton had in mind by his list of “empathetic” filmmakers, his choice of examples couldn’t be further off the mark. Renoir left France for Italy and then the U.S. during the war (and later made a film in India, The River ), eventually settling permanently in L.A. – and some French critics never forgave him for this act of desertion. Chahine emigrated to the U.S. as a teenager himself, and his films are full of American (and French) references. Nick Ray made films about Romany and Inuit people (Hot Blood  and The Savage Innocents ) and ended his commercial filmmaking career in Europe, and even Satyajit Ray had the brash idea of making at least one picture, The Chess Players , in Hindi and English rather than in Bengali. 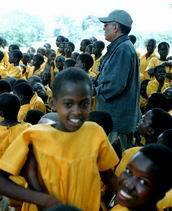 Similarly, Kiarostami has now also broken Hampton’s golden rule by making a documentary in Uganda that’s principally in English, rather than sticking to his own tribe and remaining “in some kind of empathetic touch with the everyday life and culture of his own land” – a land Hampton has already defined as “a totalitarian theocracy”. My point is that Americans have no right to view Kiarostami principally as an Iranian artist if we don’t know what being Iranian – as opposed to, say, Islamic (assuming that we know that either) – really consists of. And is Hampton really sure he knows all the ramifications of what Lynch being an American means, especially for people outside the U.S.? Or is he interested in Americans speaking only for themselves and to themselves, as they are sometimes wont to do? MS: But is Hampton very far away from Roger Ebert? It’s an important part of American culture to be so Eurocentric, and that’s reflected in American film criticism. There’s also the bigger issue of the art film in general. Think how seriously some Americans take Memento (Christopher Nolan, 2000) – a completely empty, superficial film as opposed to The Circle, which was running at the same time. It’s just part of a general problem that people have trouble with films that aren’t sentimental or obvious. Look at the films that are so popular here, even among the Iranian ones. JR: Isn’t part of that a resistance to political films? JR: What about Hampton’s charge that I was automatically placing Kiarostami on some loftier plain because I was describing The Straight Story as “propaganda,” but not Taste of Cherry? MS: Even some Iranians share that point of view. Do you know how many people have attacked me for helping the Chicago Film Center bring films from Iran? Those Iranians who think that they’re dissidents say that any film from Iran is propaganda. I say, if you think like that, you shouldn’t show any film from any country in the world, including the U.S. You have to look at a particular film to see what it has to say in order to decide whether it’s propaganda or not. JR: Yes. You could also say by the same logic that the few American films that have been allowed commercial runs in Iran in recent years – such as Seven, Dances with Wolves, and The Godfather – must also be propaganda on behalf of the Islamic government. (Laughs.) I mean, why those films? It all looks pretty suspicious. MS: I think there is a problem outside the U.S. Because of the way it’s monopolized the market in cinema, weapons, and other products, some people do have this anti-American bias. But that doesn’t stop the ordinary audience from appreciating a good American film – they’ll go and see it and won’t take it as propaganda. And if certain people in the government call it propaganda, that’s a very narrow-minded type of judgment that I think is very dangerous. It becomes a mask for hatred and fear… You know, when Taste of Cherry received the main prize in Cannes, the way Roger Ebert talked about the film made it seem like it was just a political prize. He was very disappointed. JR: Yes, he was so disaffected that he hasn’t seen any other Kiarostami film since then – or at least he hasn’t reviewed any. He basically wrote that he thought the film was a fraud: “the emperor has no clothes”. MS: And he isn’t the only one; there are Iranians who think that. So it’s not a question of the film’s nationality. It’s the character of the film that does something to you. First of all, I think it’s a question of class. Then it’s a question of life experience and maturity. Most of the films that Roger Ebert likes are pretty sentimental. They’re paternalistic. I’m not crazy about the films they tend to like from India, Iran or wherever. They’re most often tearjerkers about pitiful little boys and poor helpless women. JR: Let me play devil’s advocate. You’ve argued very persuasively in your essay that many of Kiarostami’s films are about the exploitation and abuse of children. Couldn’t Roger reply to you that this is what some of Majid Majidi’s films are also about? MS: I think Majidi’s films are more accessible; you can cry while watching them. But in a film like The Traveler (1974), the way Kiarostami shows you the child, he doesn’t encourage you to cry. It’s much deeper than that. JR: Would you call his films intellectual? Because some of what we’re encountering against Kiarostami is anti-intellectualism. MS: There are very strong intellectual layers in his films, but I cannot call him an “intellectual” – not in the way that term is generally understood. JR: That’s a good distinction. But some people who don’t like his films very much tend to regard them as intellectual just the same. The same thing happened to Jacques Tati – who was even less of an intellectual than Kiarostami is. At least Kiarostami is capable of quoting E.M. Cioran, for instance. But I better watch out and not turn Eurocentric. Though Hampton is far from being the only American critic who insists on reading Eastern or Middle Eastern filmmakers through European filters (which include Christianity and Catholicism, both prominent reference points in his attack). In fact, my original review of Taste of Cherry in the Chicago Reader was designed to get beyond such stereotypes; I began by comparing Kiarostami to Tati, Bresson, Godard, and Antonioni only to conclude later that these references might be essential to me – as routes into his work, and maybe even as security blankets – but that didn’t mean they were necessarily essential to him. Unfortunately, in one article Godfrey Cheshire quoted the first part of my argument without ever bringing up the second part. MS: What do they mean when they call someone an intellectual? It depends on what’s hidden behind the term. Sometimes they want to call Kiarostami an intellectual so they can dismiss him. JR: That’s a peculiarly American notion – that you’re out of touch with ordinary experience if you think. And what’s so weird in this country is that it’s unconsciously connected to a class position. MS: Those things aren’t just American. They’re Iranian too. MS: But Americans don’t really care, because they’re in the position of power, so it doesn’t matter if their self-image is mutilated. But the rest of the world can’t afford that – do you know what I’m saying? In the same way, the head of a company can wear sandals and a T-shirt to work, but not his employees. JR: Yes. Though to be precise, Hampton isn’t dismissing Kiarostami because he’s an intellectual, as we might have implied earlier. I think what he’s suggesting is that, on the contrary, he can be acceptable…if he becomes American. Not European, the way he thinks critics like Hoberman, Jones, and I regard him, and certainly not Iranian, but American. All he has to do is ‘fess up and agree that he’s the blood brother of David Lynch. Maybe Hampton thinks I’m being snobbish because I don’t consider Taste of Cherry and The Straight Story “like-minded films”. For me, imposing such a connection eliminates almost everything I like in both films while making them seem sappier than they actually are. MS: I want to speak about something that’s very difficult for Iranians in this country. Look at the situation of Kiarostami: some people in Iran tell him he just makes films for foreigners. And some foreigners say he should be appreciated mainly in his own country. They push him from both sides, making him homeless. Or look at the case of Saless. (4) He left Iran during the Shah’s time. He lived in Germany 25 years and made 14 films there. But when he died, all the German publications called him an Iranian filmmaker. Okay. Then, when I spoke to Simon Field three years ago about showing a retrospective of his films at the Rotterdam film festival, he said, “But he’s not Iranian – he made most of his films in Germany.” So he can’t be appreciated as part of any national cinema. What does that say about “us”? I need to make a distinction. A lot of immigrants to this country came from Europe. There’s a very strong affinity with European culture, and in fact it’s very Eurocentric here. It’s not much of a difficulty for a European to come here and establish himself or herself as an artist. But a person from the Middle East? God forbid! An Iranian who wants to come here? JR: It’s obviously much harder. But even for Europeans, there’s an enormous pressure to give up one’s background. MS: For Middle Easterners in the West, their cliched image always precedes them. Do you know that I just received an offer to direct a commercial for Dutch TV? They said they wanted it in “Iranian film style”! And look at what people are called: African-Americans, Mexican-Americans. Yet those who come from Europe – meaning white people – aren’t hyphenated. If Kiarostami were European, Hampton would probably have a different attitude towards him… Why does a critic who considers himself an intellectual feel he has to defend only his national culture? I think it’s a very dangerous position. During Operation Desert Storm, when these little maps of the Middle East were everywhere – even around public swimming pools, with arrows indicating where we were fighting – my students would ask me, “How is your family now?” I’d say, “I’m not from Iraq,” and they’d say, “Sorry” even though 99% of them thought that Iraq should be bombed back to the Stone Age. But this country, apart from its own Civil War, has never been through the social disaster of a war on its own soil and what this means on a daily basis. That’s why war for them remains an abstraction. You know, when students can’t pronounce my name, I remind them that they can learn and pronounce Arnold Schwarzeneggar’s name – so they should be able to learn mine. Jonathan Rosenbaum and Kent Jones’ reply to Hampton, and Hampton’s response to both, appeared in Artforum March 2000.